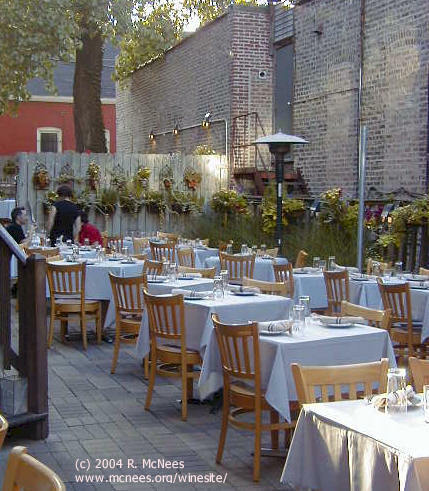 Atmosphere is cozy and comfortable - the inside dining room is crowded and compact - an outside courtyard dining area is airy, open, intimate and relaxed. While nestled between two buildings and open to the city street, the setting is unpretentious and amicable, separated from the street traffic by a small tree'd garden and wooden fence. Food - The menu provides a basic selection of seafood choices, game, vegetarian and beef. A simple selection of salads, selective choices of starters and deserts. Presentations were stylish and imaginative - food preparations were thoughtfully prepared but less than inspiring. 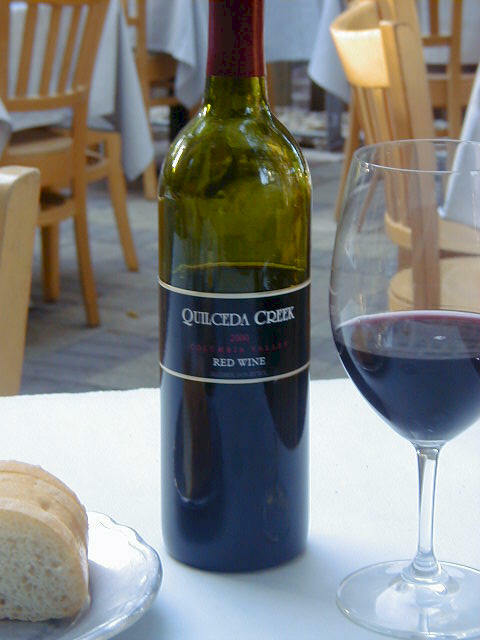 Wine - Winelist is comprehensive and offers a broad selection of Californian and Washington State wines with a limited Reserve list of quality and distinctive wines from California and Washington State - David Arthur, Dalle Valle, Lewis, Darioush, Silver Oak, Altamura, Whitehall Lane, Quilceda Creek. The list is a WS award winning list. See Review. Service was personable, capable, knowledgeable and reasonably attentive.